Unadulterated luxury honeymoon hideaway for two! 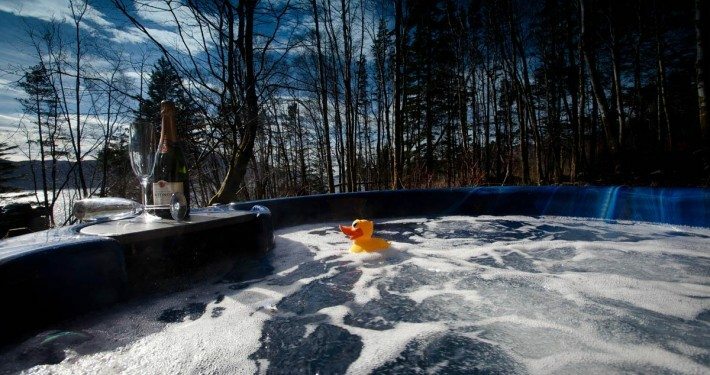 Unique to Knoydart, Knoydart Hide offers stunning luxury Scottish self-catering accommodation for two with hot tub and sauna in a beautiful and secluded woodland setting overlooking Loch Nevis. 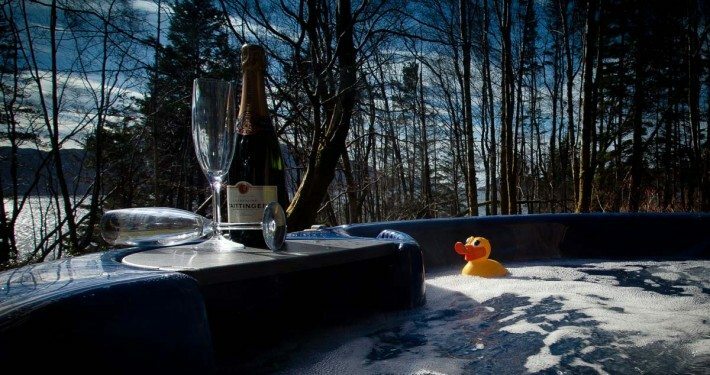 Your own private honeymoon suite with hot tub – a romantic and secluded lodge in the woods unique to Scotland. Total privacy, total luxury, 180 degree breakfast-in-bed forest views from your super-sized antique canopy bed, infra red sauna, outdoor floodlit hot tub, monsoon shower, free wifi throughout and freestanding bath at Knoydart Hide. Connect, indulge, celebrate! 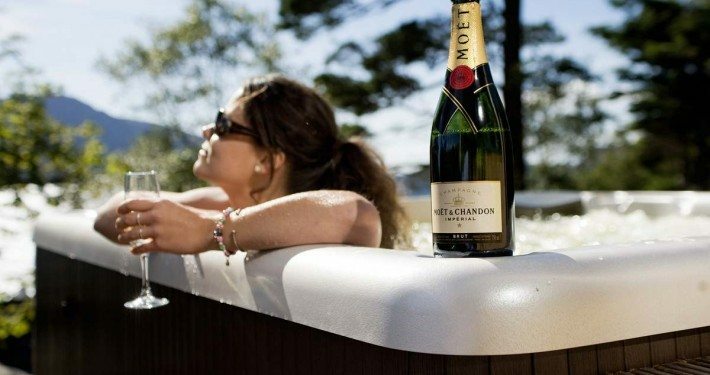 Gorgeously grown-up and offering unrivalled privacy, Knoydart Hide is the perfect location for your Highland honeymoon, for lovers, friends and reconnections seeking “very special together time”. Created for those seeking under the radar luxury holiday accommodation, Knoydart Hide offers true “wow” factor. After arriving by water taxi, we will whisk you to the Hide by private transfer (only a 5 minute walk from the pier and the village of Inverie) to Knoydart Hide so you can escape together, relax, open your complimentary bottle of chilled fizz on arrival, slip on on a luxury robe for your use and step into the private outdoor hot tub. Romantic escape, mini moon or even late moon we definitely understand the demands of modern family with babes-in-arms or favourite pet. Young family can be accommodated by special request on a Napoleonic antique style stow-away bed, which converts to 2 full size single beds and optional cot. Our superking canopied antique bed can be made up as a superking for couples or twin room for girlie getaways. 2 small well behaved dogs are welcome by arrangement (supplement applies). 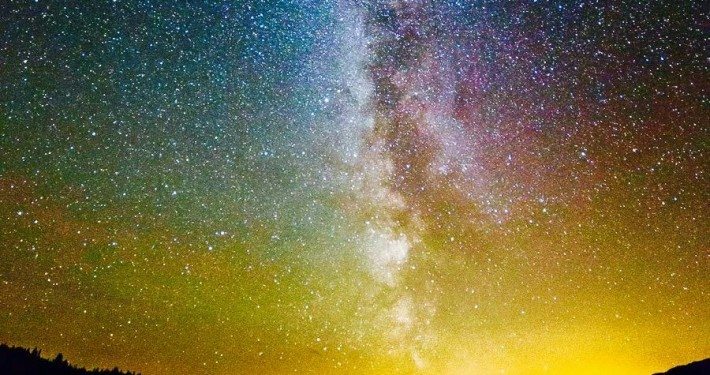 After a day on the hills or on the loch, there really is no better way to round off the day than a soak in the hot tub under the Knoydart stars. 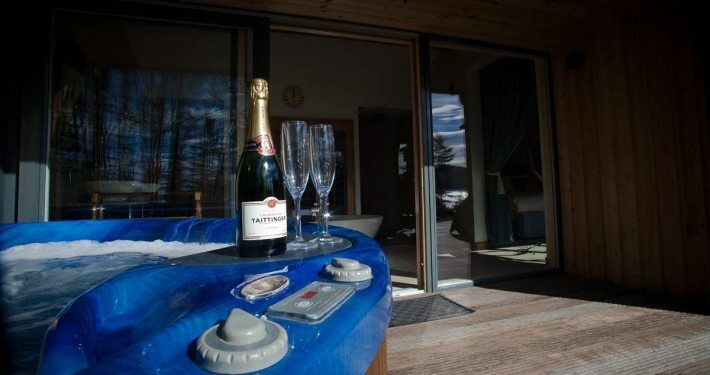 Complimentary chilled bubbles to share on arrival! 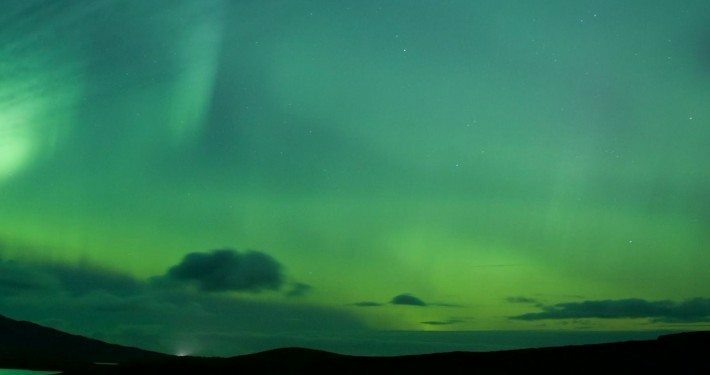 Gorgeous antique furnishings and breathtaking 180 degree views in a unique spot on Scotland’s romantic West Coast. 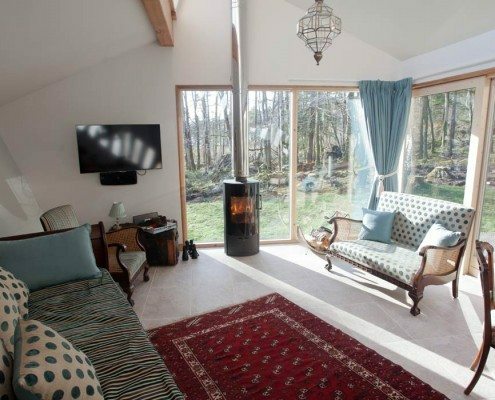 Floor-to-ceiling glass views over Loch Nevis,wood burning stove, wrap around flood-lit decking with hot tub and Weber BBQ. Go island hopping, treasure seeking, whale spotting and wildlife watching or just run wild and stretch out on our beaches. 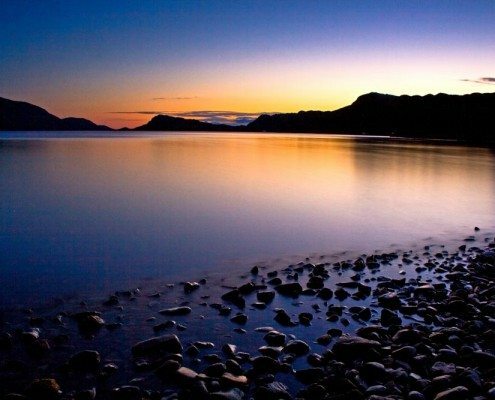 Explore, walk, fish, hillclimb or embrace Knoydart’s vibrant and friendly highland village of Inverie. 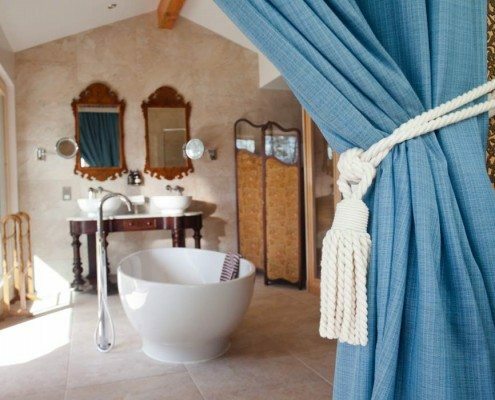 Luxury freestanding bath, monsoon shower and infra-red sauna with floor to ceiling forest views. His & hers antique vanity unit, luxury robes and lemongrass organic products. Watch our short video clip and imagine yourself enjoying our stunning hideaway for two. Sign up for special offers and late cancellations.